On 3rd June, 1822, Caton and seven other parishes and townships signed an agreement to form a Gilbert Union. The union was enlarged by the addition of a further 13 parishes on 4th May 1829. The union erected a workhouse to the south-east of Caton. There were also poorhouses at Caton Green, to the east of Caton. Because of its Gilbert Union status, Caton was exempted from most of the provisions of the 1834 Poor Law Amendment Act. In 1856, its membership comprised the parishes of Bolton-le-Sands, Borwick, Caton, Claughton, Farleton, Gressingham, Halton, Heysham, Hornby, Nether Kellet; Poulton, Bare, and Torrisholme; Over Kellet, Quernmoor [Quernmore], Slyne-with-Hest, Tatham, Wennington, and Wray-with-Botton. The workhouse was, nonetheless, subject to scrutiny by the Poor Law Board. An official inspection of the premises in 1866, by Mr R.B. Cane, resulted in a catalogue of criticisms. There were no receiving wards, vagrant wards, insane wards, infirmary, or school. There was no water-closet, bath, or lavatory, and the men slept two to a bed. Two men who were confined to their beds were in the charge of another pauper who was so deaf they could not make him hear. An insane woman temporarily placed in the workhouse had thrown herself from a window and was killed. Another lunatic inmate had cut his own throat with a razor. In short, the workhouse was "wholly usuitable for the reception, and proper care and management of the poor". Despite ongoing efforts by the Poor Law Commissioners to persuade the Union to dissolve itself, the union survived until 1869 when all remaining Gilbert Unions were abolished. A new Lunesdale Poor Law Union was then formed which took in most of the Caton Union's former members. 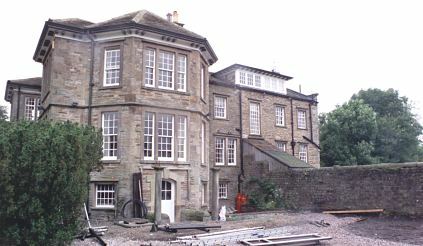 The former Caton workhouse building has now been converted to private housing. Caton from the west, 2001. 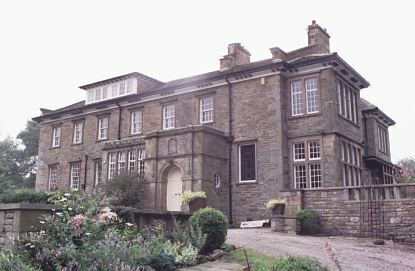 Caton from the south-east, 2001. Lancashire Record Office, Bow Lane, Preston, Lancashire, PR1 2RE. Very few local records survive.